Early science fiction imagined a world with space travel, video calls, and worldwide access to information, things we now know as NASA's human spaceflight program, Skype, and the Internet. What next? Could we really bring back the dinosaurs, travel to a distant star, or live on Mars? 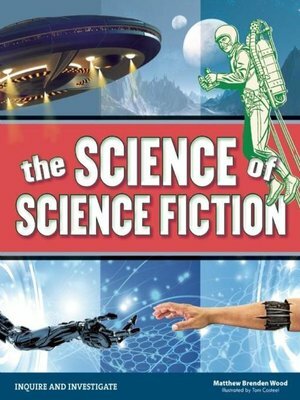 In The Science of Science Fiction, readers ages 12 to 15 explore the science behind classic and modern science fiction stories, including artificial intelligence, androids, and the search for alien life. They learn how cutting edge concepts, including time dilation and genetic manipulation, influence today's fiction. The Science of Science Fiction promotes critical thinking skills through inquiry, discovery, research, analysis, and reflection of key scientific ideas and concepts made popular by many titles in science fiction. Each chapter features informative sidebars and video and website links for an in-depth look at key topics. Science-minded experiments include a simple demonstration of artificial gravity using a bucket of water and calculating the speed of light using chocolate in a microwave. This variety of resources ensures the material is accessible to students with diverse learning styles.